This vigorous, upright pineapple broom makes a stunning specimen plant for a sunny site. Plant it next to and entrance or path to really appreciate its fabulously fruity scent. Introduced as recently as 1922, and for a long time was thought less hardy than plants have proved. 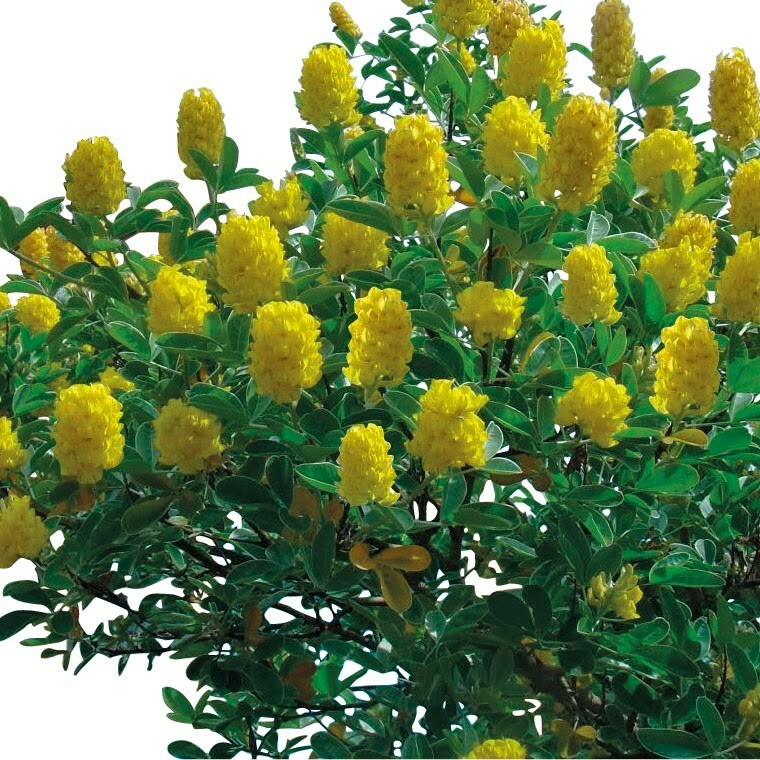 It is best grown with some shelter from cold winds and in full sun, and makes an excellent wall shrub, where its silky grey-green foliage, delicate and laburnum-like, looks effective against brickwork and can grow into a tree 5 metre tall, although it is very easy to keep as a much smaller shrub. Supplied at approx 80-100cms tall in aapprox 3 litre containers.